GaijinPot is giving away a free guided tour of Tokyo’s coolest neighborhood, Shimokitazawa, in a special photo contest on Instagram starting today. We’ll also give ¥10,000 extra cash for you and your friends to spend on the tour. Plus, you’ll have a chance to be featured on the GaijinPot Instagram and receive a bunch of highly sought-after GaijinPot merch. The winner and their friends will get to go on a unique evening tour of Shimokitazawa featuring bar-hopping, record shopping, and backstreet exploring. We’ll also give them ¥10,000 spending money to treat themselves (and their mates if they’re feeling generous) while they’re in town. Run by Ellista Local Tours, the tour takes you to some of the neighborhood’s best-known institutions as well as new joints on the block, bringing you behind the bohemian scenes of every trendy Tokyoite’s favorite hangout. There will be booze! Banter! Music! Donuts! And more! You can check out a breakdown of the tour here. 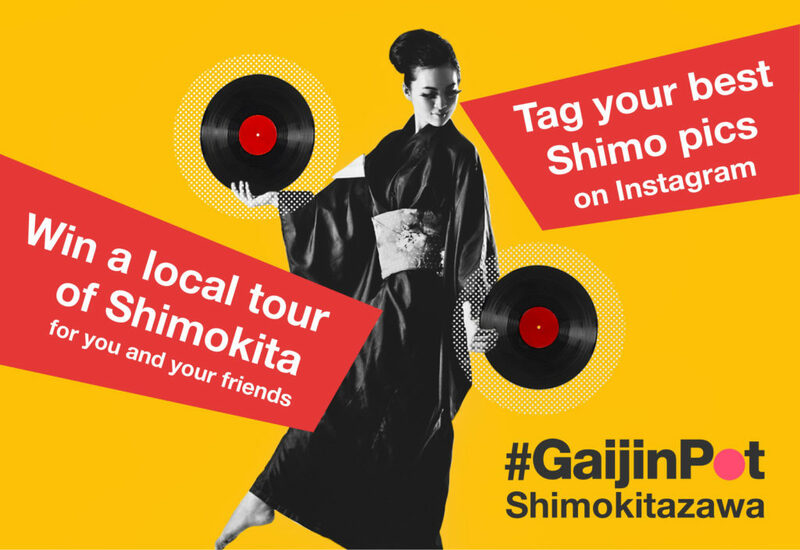 For a chance to win the tour, plus the GaijinPot collectibles, all you have to do is share a photo that you took of Shimokitazawa (make sure to add the location) and tag it with #GaijinPotShimokitazawa. Two winners will be picked from the best of all the entries and notified by us sliding into your DMs before the end of April. We’ll also be posting a selection of the best photos on the GaijinPot Instagram to properly feature your awesome talent. An Insta gallery will be posted shortly after the contest closes, and your photo will be credited with your handle.